1995(?) 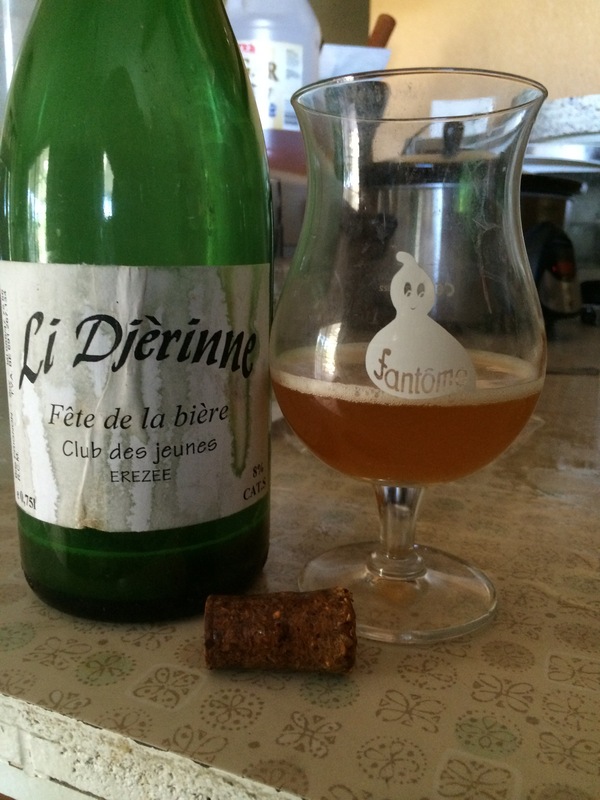 Fantome Li Djerinne, a beer made for the club des jeunes, but now they straight tous grandi. Look at that muddy hen, all oxidized and laying in the pooling damp earth insouciantly. This is a dirty ghost that doesn’t use deodorant but is old enough to make it’s own decisions. The carb held up nicely for these 19 years and the HP bubble jet label is looking stately. The nose of this beer exhibits a good amount of cork, plywood, a slightly bready and yeasty profile like over ripe banana and a light metallic finish. The taste has a caramel aspect up front that lingers into a mineral/Fuji apple light tartness that is pretty pleasant. The entire affair has a musky canvas tarp draped over it, exhibiting an attic love that only fellow antiquers will appreciate. If you stroke it to storage wars and love rooting around in the hulls of frigates, this oaky oxy adventure might have the musk levels you require.